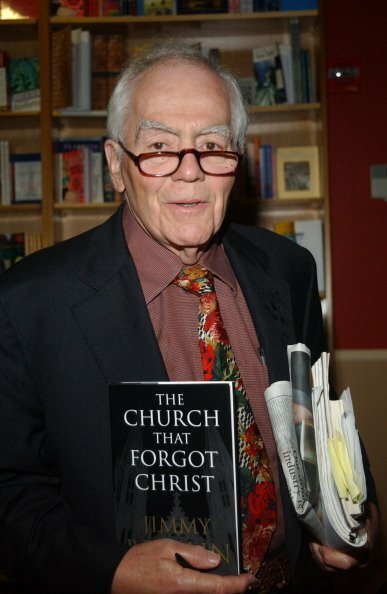 On Sunday, March 19, author-columnist Jimmy Breslin died at the age of 88 in his Manhattan home. For decades he was an icon in New York journalism, especially with the New York Daily News. He was a winner of a Pulitzer Prize for articles that exposed police torture in Queens, and sympathetically examined the life of an AIDS patient. 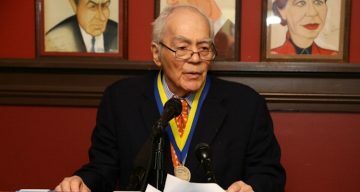 According to his stepdaughter, Emily Eldridge and Jimmy Breslin’s obituary, Jimmy Breslin’s cause of death was due to complications associated with pneumonia. If you want to learn more about the legendary writer and read some of Jimmy Breslin’s quotes, here are some facts to know in our Jimmy Breslin wiki. Breslin spent much of his newspaper career discovering some of the greatest stories in New York and across the United States, and he did this by talking to people no one would expect. His greatest columns included stories from cops, criminals, ordinary works, and even serial killers—people whom most reporters would not consider speaking with. He was able to interview virtually anyone about any subject, and find stories in areas where other journalists would not consider to look. According to the New York Daily News, he took a pen and a pad and his one-man beat covered some of the city’s biggest stories. Breslin was proud of his success, as he once boasted, “I’m the best person ever to have a column in this business. There’s never been anybody in my league.” Some of his most iconic columns include It’s an Honor (1963), A Death in Emergency Room One (1963), The Son of Sam Letter (1977), A Part of Cop’s Past Lies Dead (1980), and more. Breslin was often in the place of danger as he covered stories—he once reported from Vietnam, and in 1968 he stood five feet away from Robert Kennedy when he was assassinated inside the Los Angeles’ Ambassador Hotel. Of all his pieces, his most famous was his story of Clifton Pollard, the worker who made $3.01 an hour and dug President John F. Kennedy’s grave at the Arlington National Cemetery. In addition to his career writing articles, Jimmy Breslin’s books were also reasons for his success. He published a shelf-full of works including Sunny Jim: The Life of America’s Most Beloved Horseman (1982), The Gang that Couldn’t Shoot Straight (1970), World without End, Amen (1973), .44 (1978), Table Money (1986), American Lives: The Stores of Men and Women Lost on September 11 (2002), The Church that Forgot Christ (2004), and Branch Rickey (2011). Breslin was known for his disheveled demeanor, profane language, and for his type-writer breaking from typing too passionately about a story! Daily News Editor-in-Chief, Arthur Browne described Breslin as “a furious, funny, outrageous, and caring voice of the people who made newspaper writing into literature.” There is currently no information on Jimmy Breslin’s net worth. The iconic writer is survived by his second wife, Ronnie Eldridge and his children: sons Kevin, James, Patrick, and Christopher. His first wife, Rosemary Dattolico died in 1981, his daughter Rosemary died from a rare blood disease in 2004, and his other daughter Kelly, died in 2009 at the age of 44 from cardiac arrhythmia. The sad news of Jimmy Breslin’s death has brought many of his fans to a state of mourning, but his work for the news industry will forever be considered his legacy.